This one was quite interesting, thought I'd stick it in here. I've been working quite closely with the Mary Rose Trust recently on getting some new arrow replicas made, but it's impossible to ignore the bows when you're able to fiddle with them. I took some measurements of this one which I know various people have copied with stunning results (one up to about 196lb I believe, but that could have been 79A1655 which is very similar). 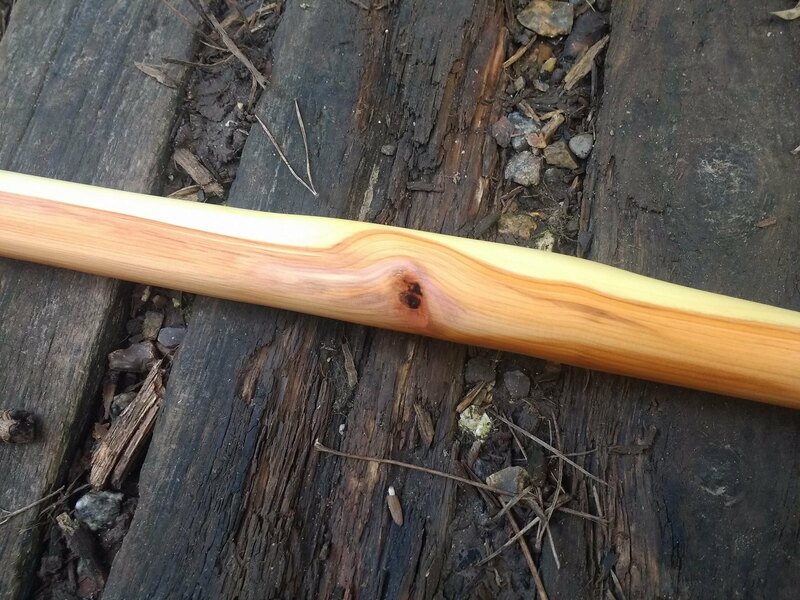 The timber wasn't the best - in fact it was a trial stave from a new batch of yew I cut only last year so it's also not fully seasoned yet and should increase in weight a bit - and the result was a slightly disappointing 145lb at 30" but it's loaded at the front end and feels a lot more. It was "roughed out" to the exact measurements as a result required virtually no tillering. I think a few scrapes around an area of deflex that I'd left too thick and that was it. It's still exactly the same size in millimeters as my initial measurements, so it shows nicely how different timber can play a massive role in draw weight. Cow horn sidenocks and a beeswax finish. The tiller pic was taken at around 25" as I don't like winch setups and had to hold the camera in one hand! 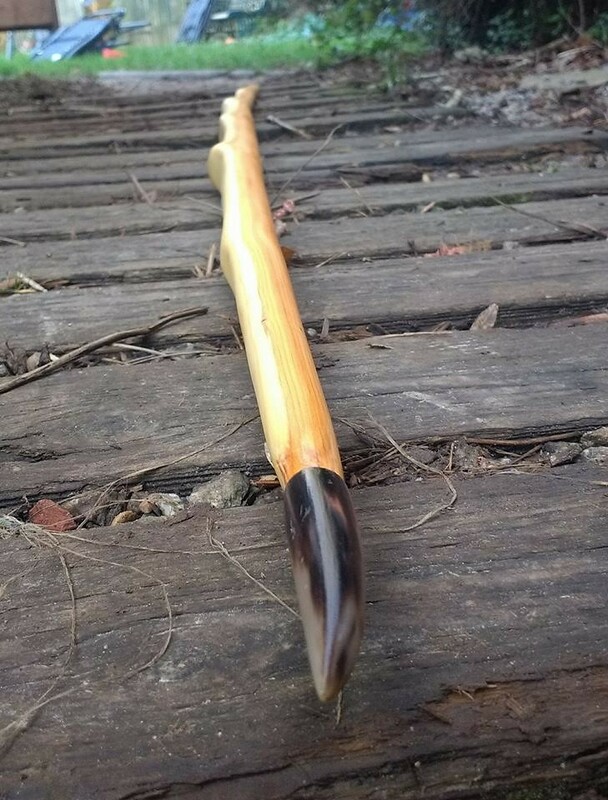 One of the pics shows the bow from directly above, with the heartwood showing on both sides. I've started to use this as an indication that the sapwood thickness is correct, and that the cross section of the bow matches the lovely "fat galleon" shape. With the sides swelling out past the back, and the sapwood taken down to an absolute minimum (I think about 2 rings in total on most of the bow where possible) you end up exactly like the original bows. 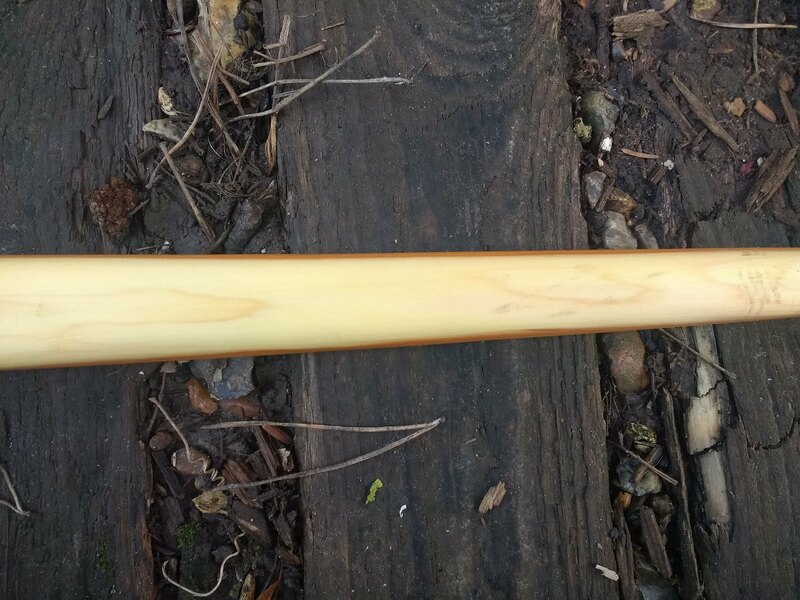 Unfortunately many parts of this stave were a bit characterful, and the belly was splitting and checking so I had to leave more sapwood in some areas to avoid the bad bits. "fat galleon"? I don't suppose you could post a sketch of the cross section? Something like that! You can see how the heartwood "swells" out beyond the sapwood on both sides. Do these bows show any evidence of taking set? if so it might give us a some good clues as to how far they were actually being drawn but it would require actually drawing the bows. There's a couple with a slight hint of follow, but they're virtually all brand new, unused bows. I'd say 99% of the MR bows had never been in the hands of an archer when the ship sank. 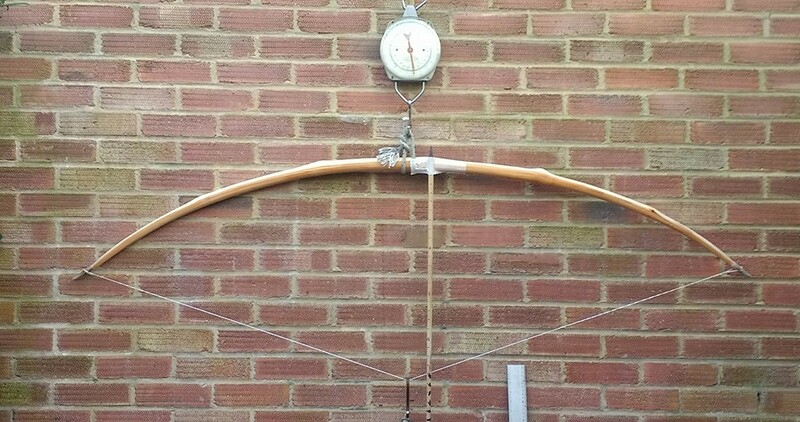 We can have a good guess at the common draw lengths from all sorts of documentation describing the English way of shooting, and of course from the arrows found with the bows which are various lengths but primarily 28" and 30". Very few were longer than that. Very good looking bow. Are you able to shoot it or it's for someone else? I'd have been on it last year, but life got in the way recently and I'm struggling with 130lb at the moment. Won't be too long before I get it under control though. Thanks, that's really helpful; when you rough out, do you rasp off the sapwood and see what your left with, or rasp off then chase a ring, or chase a ring then rough out? Is it dangerous to leave thicker sapwood, does the chance of failure become higher? Also, when I look at the pictures of yew timber I can see that sapwood doesn't grow the same at whole length of stave. There are places where it's 1 cm thick and suddenly drops to couple of mm, or at the next place it suddenly thickens to 1,5 cm. Good example is your 4th picture. How do you deal with this? Thicker sapwood makes a safer bow. You're just increasing the amount of backing the bow has. The trade off however is that the sapwood is not as good as heartwood, so for a high performance bow you want more heartwood. 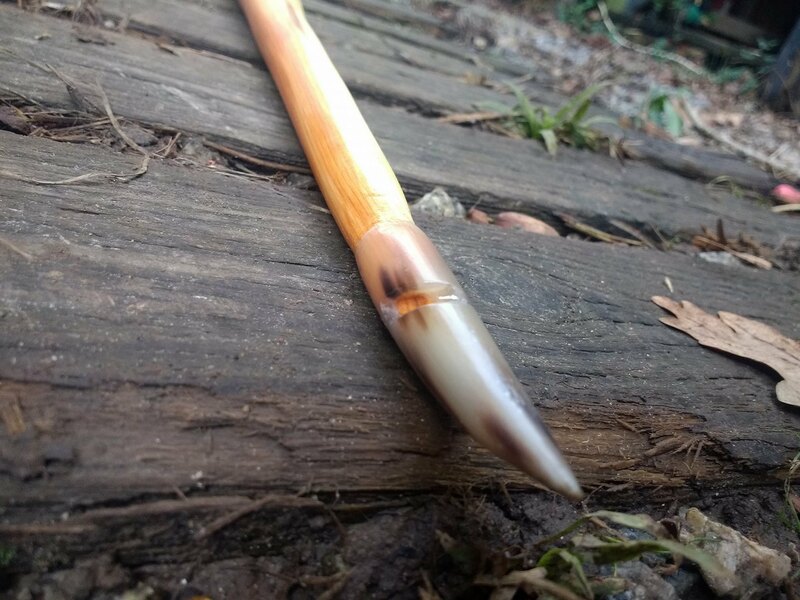 The sapwood becomes as thin as possible - you don't actually need any at all, as seen in all the just-heartwood yew bows that have been made. It's a tiny safety net at these weights. That fourth picture shows how I aim to keep the back as flat as possible, to avoid having a belly that dips and rises around every knot and swirl. 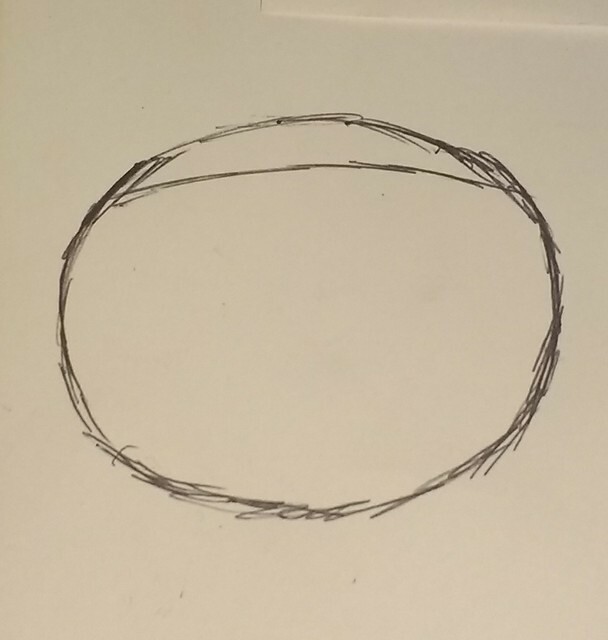 Because you don't need to follow a growth ring, and because you don't need much sapwood at all, you can draw a straight line end to end and just take the wood off to suit. Again, there are plenty of ways of dealing with yew, the reason I do it this way is simply because that's how the originals were made.